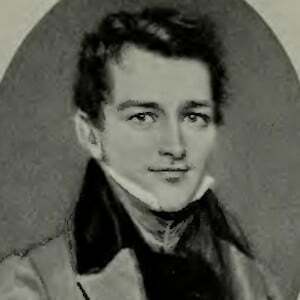 Known as the oldest son of the first Treasury Secretary of the United States Alexander Hamilton. He infamously died in a duel in 1801 with George Eacker, which was the same method that would claim his father's life in 1804. He earned his undergraduate degree from then-Columbia College, which is now Columbia University of New York City. His intellect was often compared to his father's. He challenged George Eacker to a duel after the latter publicly criticized his father at Fourth of July readings at Columbia University. He did not die instantly, instead passing from infection following the duel. His mother, Elizabeth Schuyler Hamilton, and father were at his side as he passed. He died at age 19. In the Tony-nominated hit musical Hamilton, he was portrayed by actor Anthony Ramos.